The sensation of discovering a new music has always a fulfilling one for me. Whether it was THE BEATLES, THE EAGLES, IRON MAIDEN, OASIS, PRINCE or TAYLOR SWIFT, many of use formerly defined our musical tastes based on our personal explorations of the musical landscape during the wild high-school years, and they seemingly hard-wired into our personalities. Sometimes our minds bind us to the music we heard as teenagers more tightly than anything we’ll hear as adults, and I’ve done my best to avoid such stereotypes and to keep exploring and curating as much new music as I possibly can. Oftentimes through a journey like that I have tripped myself over an album that I pressed play on – like in a mechanical sort of way –, and before the last note of the record is over I know I will buy that vinyl. And the soon-to-be-released album from KAYAK is one of those records. I must confess my sins: I was completely unfamiliar with KAYAK prior to listening to “Seventeen”. For those of you sharing my ignorance about them, here’s a brief rundown: KAYAK is a Dutch band, originating from the early seventies. The band began as a symphonic progressive rock act with an emphasis in songwriting, but from 1977 on they changed direction moving into crossover territories. KAYAK achieved tremendous success from the late 70’s onwards, cracking the US top 50 charts with the single ‘Want You to Be Mine’ in 1978, holding number #1 in the Dutch charts for several weeks with the Platinum awarded “Phantom Of The Night” album, which was released in 1979 and included the hit single ‘Ruthless Queen’. Disbanding in 1982 after nine studio albums, they reformed in 1999, with Ton Scherpenzeel as the carrier of the torch, the writer, keyboardist and all-rounder reviving the name and assembling a fresh line-up, after a three-year break brought on by sudden departures and preceded by the passing of drummer and band founder Pim Koopman in 2009. 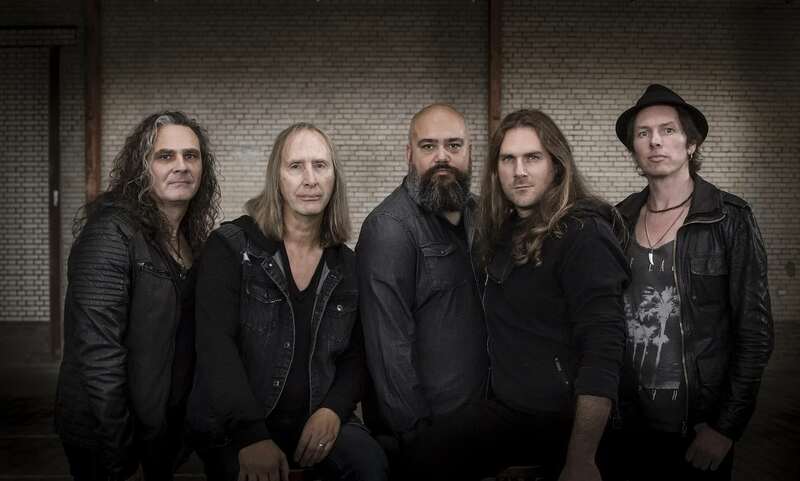 Singer Bart Schwertmann, and guitarist Marcel Singor completed a trio that started the recording sessions of “Seventeen”, with by former NEAL MORSE BAND/AFECTOR drummer Collin Leijenaar and ex-PAIN OF SALVATION bassist Kristoffer Gildenlöw (Who as you may have already guessed is Daniel Gildenlöw‘s brother) joining the ranks when the album was nearly to be completed. Guesting on the instrumental ‘Ripples on The Water’ is CAMEL‘s Andy Latimer. 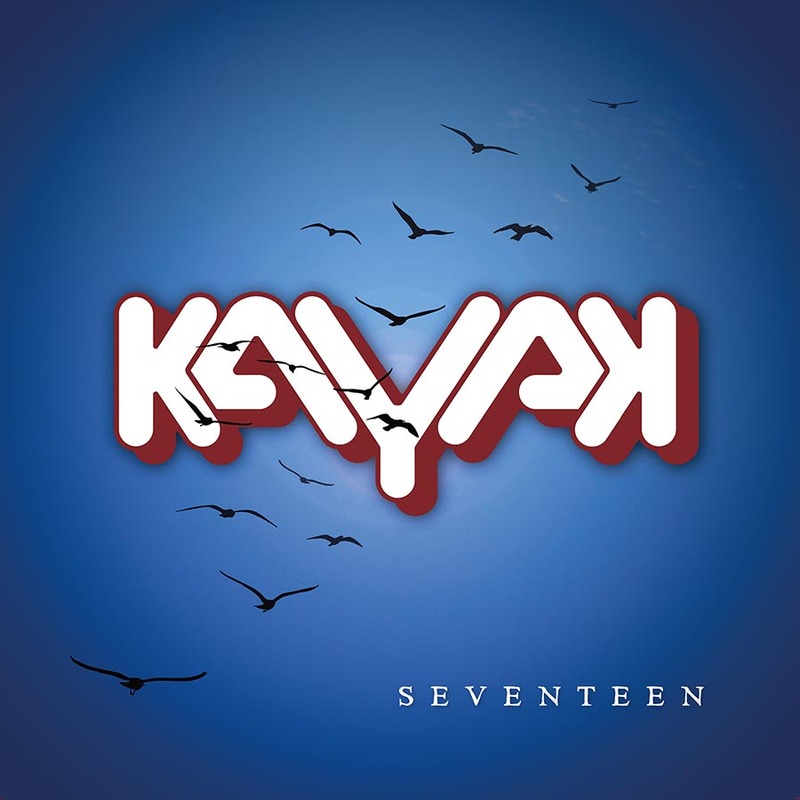 KAYAK‘s sound on “Seventeen” does not align only with progressive-rock, but shares an AOR side which emphasizes big, melodic as well as anthemic gestures and focuses on the song as such, spiced it up with all sorts of progressive elements to make even the most sophisticated tracks sound entirely fresh. Think of the very early ASIA, or the more progressive side of QUEEN. Between cheeky rockers, insightful ballads and small art-rock cabinet pieces, blended with bombastic arrangements and extended instrumental prog-rock swagger, “Seventeen” flows through your ears smoothly, blurring the genres lines with a softness that sometimes is sort of dreamlike, and turning the listening experience into an emotional ride between excellent brio and blissfully mind-blown. Straight pompous anthems like the album opener ‘Somebody’ or the energetic hard-rocking ‘Feathers and Tar’ juxtapose with long and opulent yet infectious progressive-rock tracks like ‘La Peregrina’ or ‘Walk through Fire’, both combining an impressive array of atmospheric moment, ethereal keyboards, synergic choruses and impeccable musicianship, with the hooks hitting the mark straight through and lingering in your memory for days. Ballads like the piano-laden ‘Falling’ or the acoustic guitar infused ‘Ripples on the Water’ glide softly, adding depth, sentiment and a magical aura to the album seamless unabridged beauty. A dazzling and sterling union of 70’s classic rock, progressive arrangements and straight-forward, catchy rock with uplifting musicianship and powerful vocals, “Seventeen” is a gorgeously melodic and well-constructed album with an outstanding array of keyboards, choruses and guitar interplay which will have you singing alongside the pristine sound quality of the music. The KAYAK boat has miraculously resurfaced and navigates over successful waters. Here’s to a long a fruitful sailing. * The Special Edition 2CD Digipak includes a second disc with 36 minutes of 2016 demo recordings.